Although its name ignores its most important ingredient, a strawberry milkshake would be merely flavored milk if not for the ice cream that makes it worth drinking. 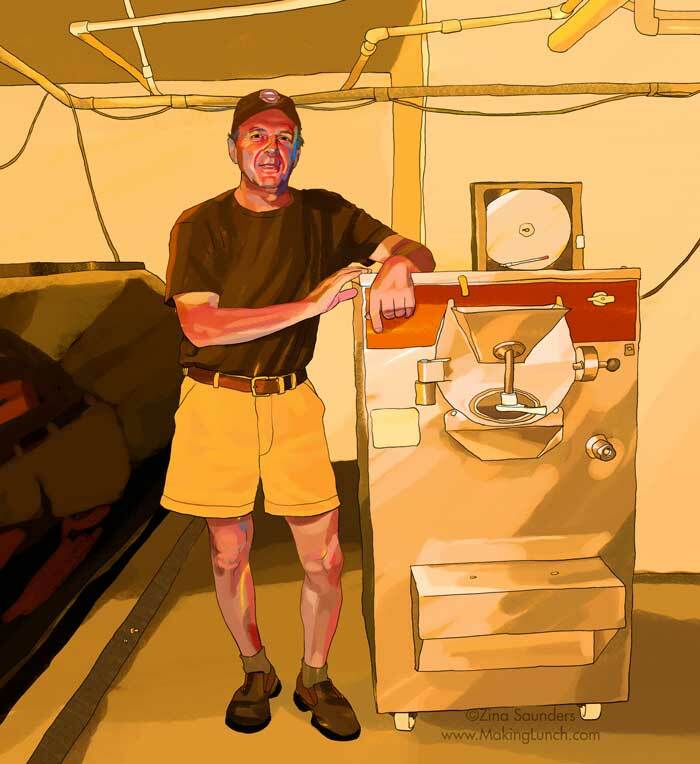 Sid Osofsky, age 61, dropped out of the corporate world to run the family dairy farm with his two brothers and learned to make ice cream on the fly. “Most ice cream places that you hear about that say they're ‘home made’ means they made it at home or at the plant, but they didn't make it from scratch. Sort of like saying, ‘I made this cake at home, but I made it with a mix.’ Most, I can't swear that all, but most people that have ‘home made’ ice cream basically buy a mix. We are genuinely a home made ice cream, made from scratch. “I worked in corporate finance until '83, when I ended up deciding that I wasn't that happy with the corporate life. It was so impersonal, I could never tell what my work had to do with any of the end product, or what the company made … there wasn't really any connection there. And most of the people in the corporate world aren't happy—they just work to make money. So I thought, ‘What's the most important thing to me?’ And I decided it was for me to find a place that I wanted to live, and then find the work that I like. It happens to be that I love the country, and I grew up on this farm, so, I found both things all at once! “At the time, my parents were still on the farm (they've since passed away), and my brother Ron was running the farm with my father. And there were some hired hands. “So I decided I wanted to come back to the farm and see if the farm could continue to survive during a time that dairy farming has been finding it very difficult to remain alive. “Then, about 15 years ago, we decided that we wanted to do something different: to sort of cut out the middle man. The middle man was the cooperative, who bought all your milk. With a cooperative, you were guaranteed that all your milk would be purchased, but not for a living wage. Farmers can survive that way, but they can't really enjoy their lives. “So, in 1991 was when we started the dairy. Which meant finding all the equipment to process the milk, finding the space to do it, and finding the people to run it. And it was fun! And exciting! 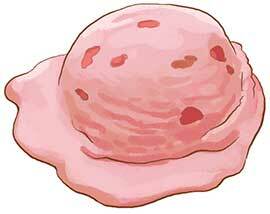 But even though I have a sweet tooth, and I've loved ice cream all my life, that wasn't the reason for going into it. It was a business decision. “There are many ways of trying to make ice cream. You can go to ice cream school and learn about it. Which I did, after the fact—I went to school about three years ago, after making ice cream for about six or seven years. I learned that I was doing things properly.